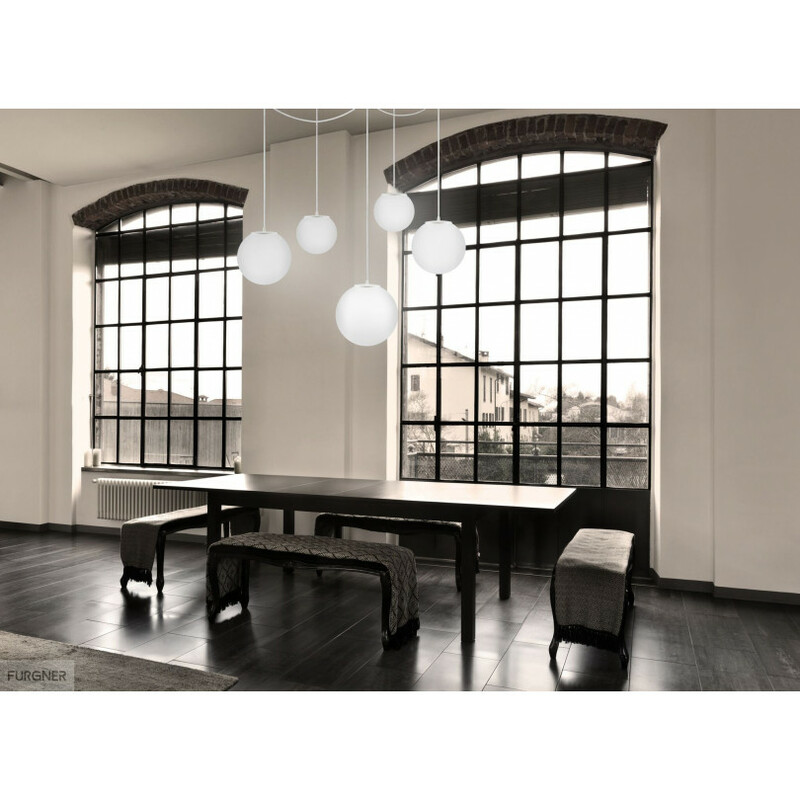 TSUKI MIX Elementary L, M, M, S, S 5/S is an indoor ceiling light forming part of the Sotto Luce Elementary modern lighting collection. 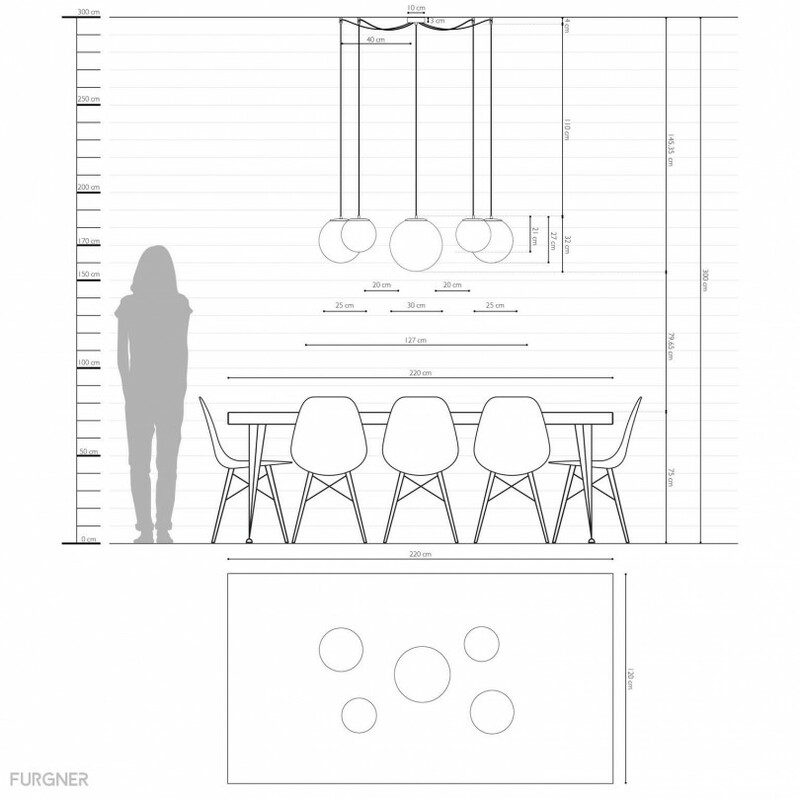 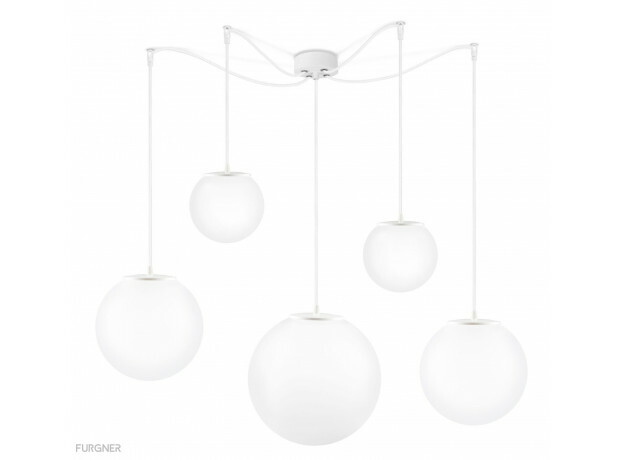 The contemporary style pendant luminaire TSUKI MIX Elementary L, M, M, S, S 5/S from Sotto Luce is entirely made in Europe. 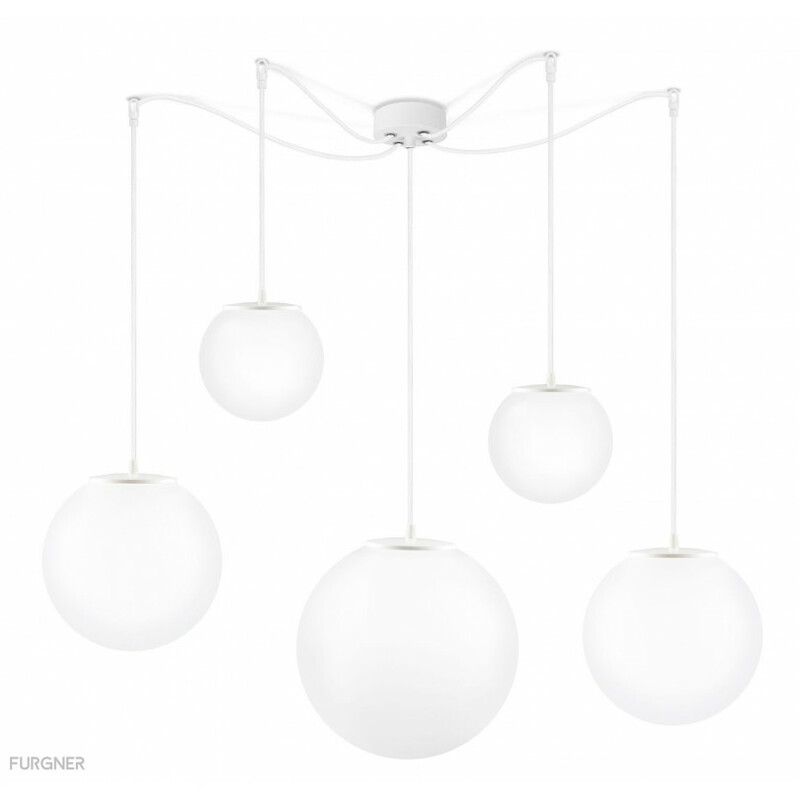 Its hand blown glass shade is coated with a high quality opal matte paint. 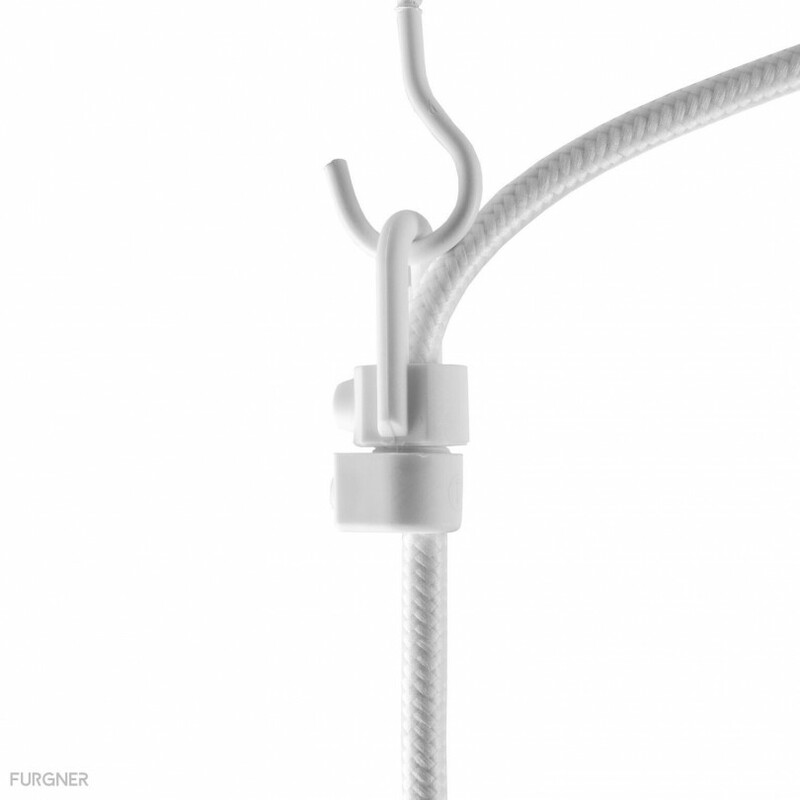 The white fabric cable is also available in a number of non-standard lengths and the black plastic ceiling rose makes the lamp easy to install.